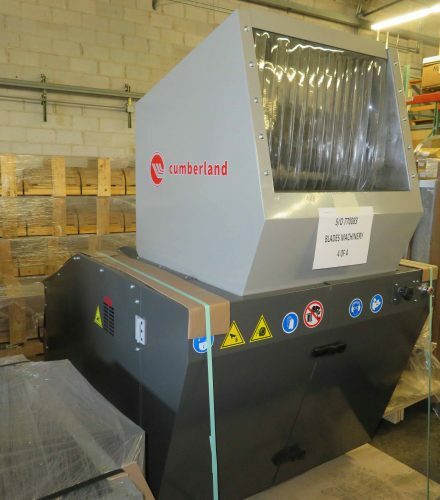 We currently have over 750 granulators in stock. Most granulators are sold completely rebuilt. We have the largest in house granulator service center in the U.S. and can repair any make or size granulator. Blades Machinery Co. is the largest stocking distributor of OEM / aftermarket knives and screens in the industry. We have over 750 granulators, 200 extruders, and downstream thermoformers & blow molders in over 130,000 sq. ft. of warehouse. 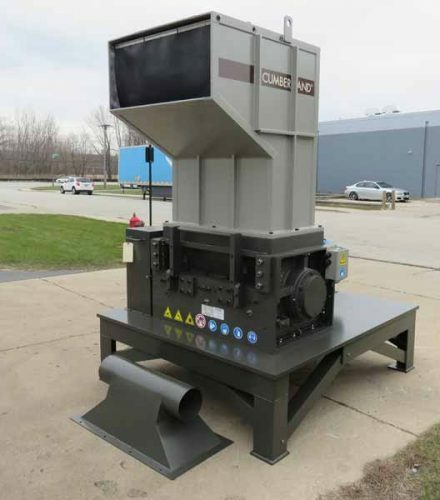 We sell and inventory new equipment including Cumberland granulators, Vecoplan shredders, Sterling blowers, and Kongskilde piping systems. We have been in the used machinery business for almost 50 years. We can provide you a thorough and complete appraisal. We are always looking to purchase your surplus equipment. Please fill out the fonn and we will get back to you promptly. Sterling, Kongskilde, Ensign, Temptek, and Weg equipment. fabrication, modifications, and hardfacing capabilities.